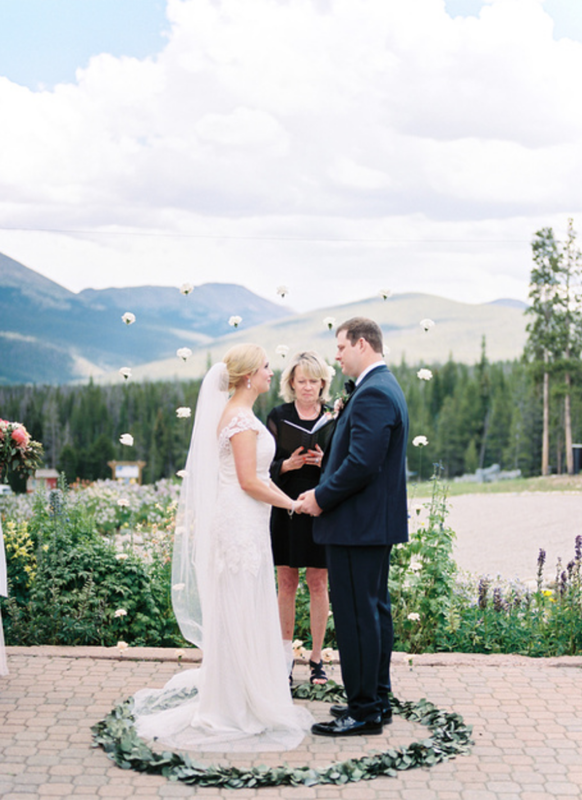 I can not imagine a wedding more bright and cheerful than Christie & Brigdon’s big day in Breckenridge this summer! 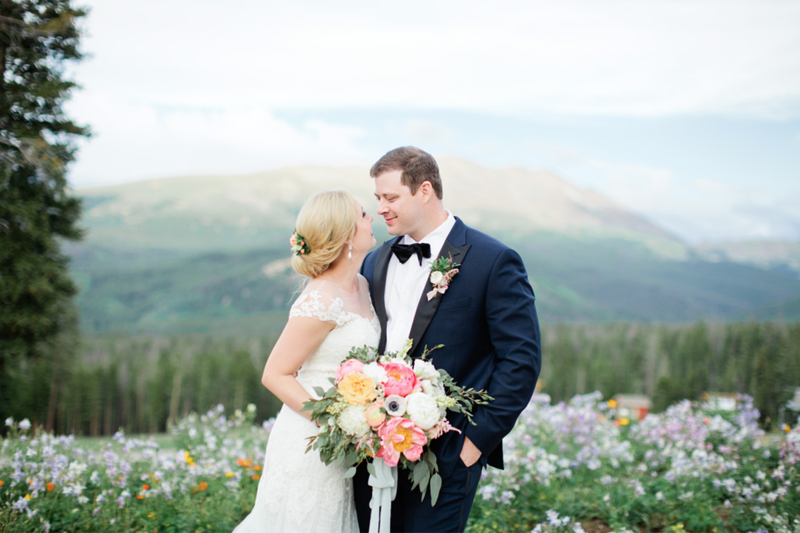 These swoon-worthy photos from Callie Hobbs were such a special treat in my inbox and I am so excited to share some of the details I crafted for their beautiful mountain wedding! 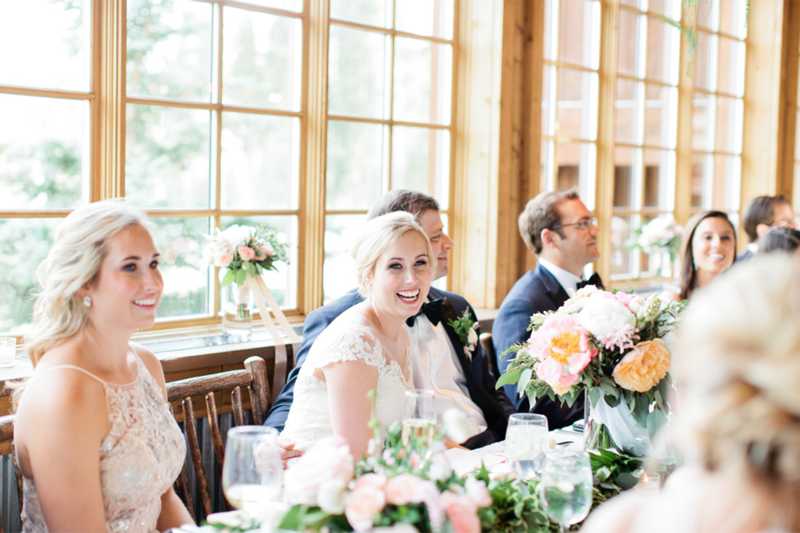 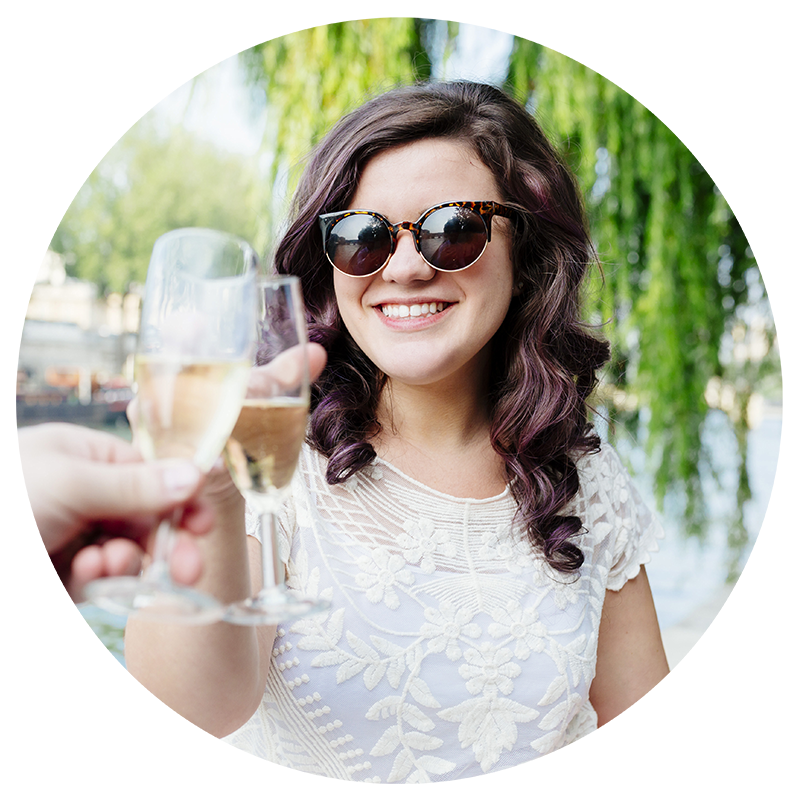 Christie was one of my long-distance Brides, planning from Florida and collaborating with me for months via phone and email. 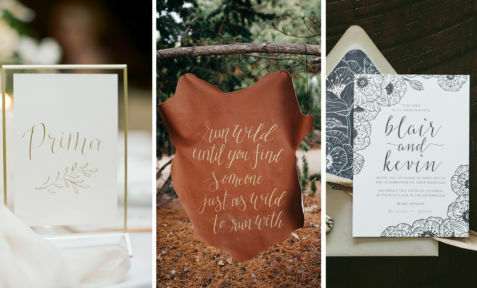 Ever since my first phone call with her I was excited to see how her suite would evolve. 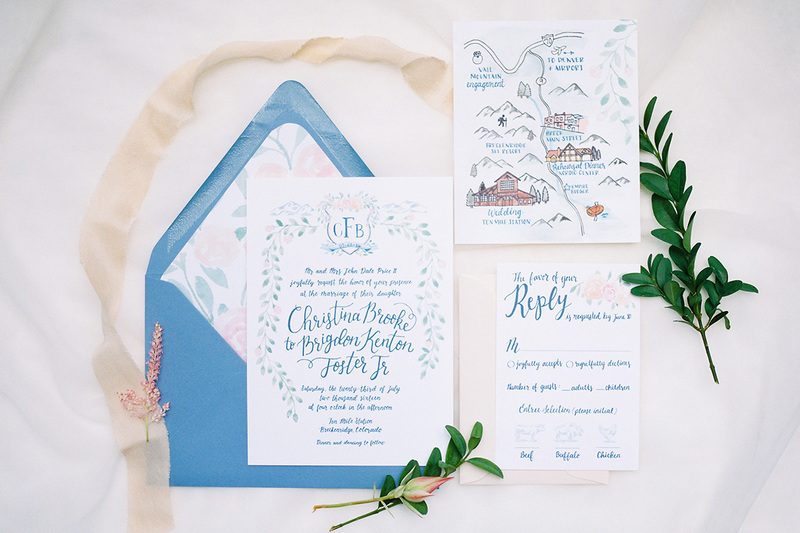 She loved all things floral, painting and hand lettering so together we dreamed up an invitation suite around an elegant floral watercolor wedding crest. 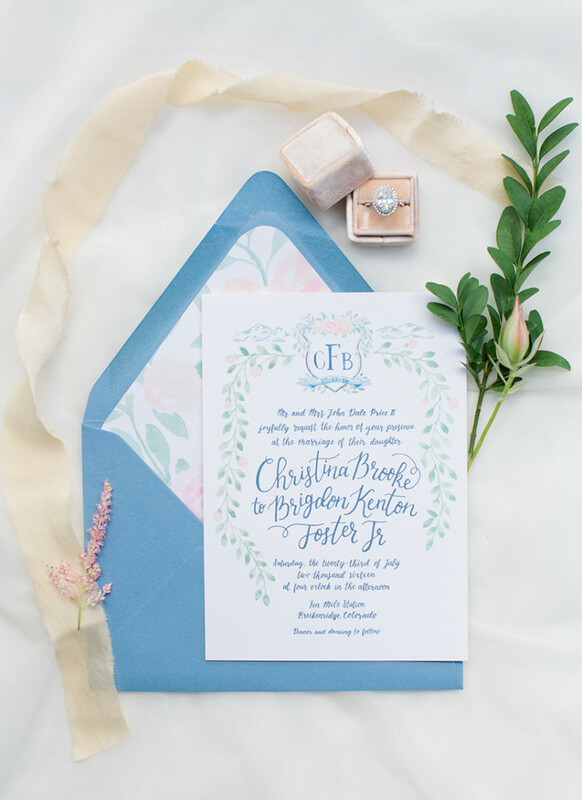 All of Christie & Brigdon’s stationery pieces were first done by hand and then digitized – my dream combination! 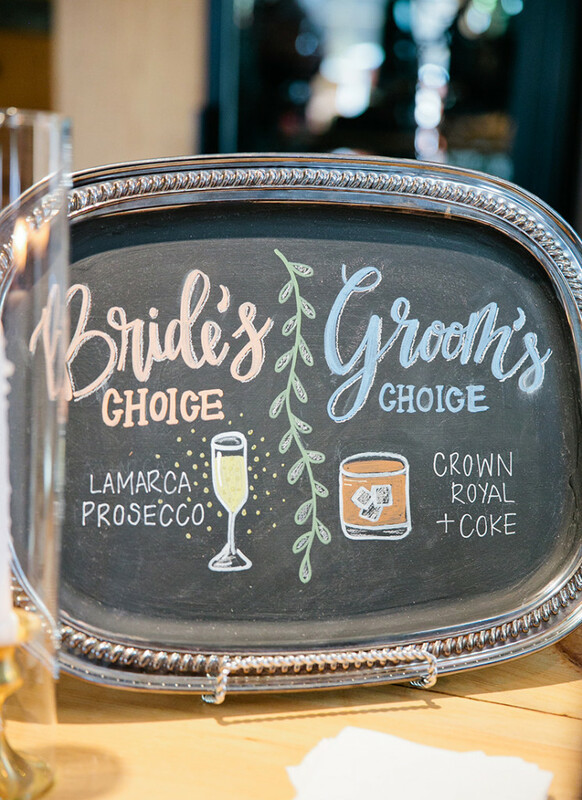 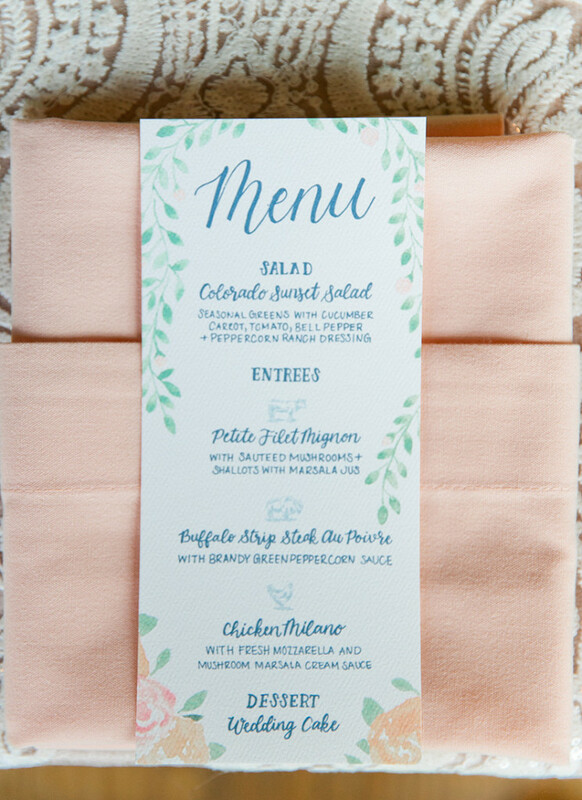 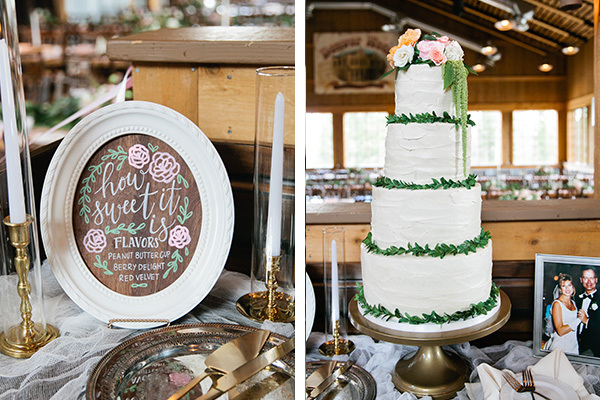 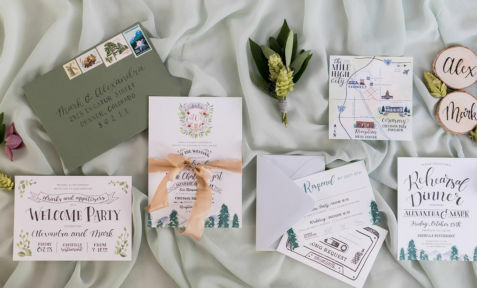 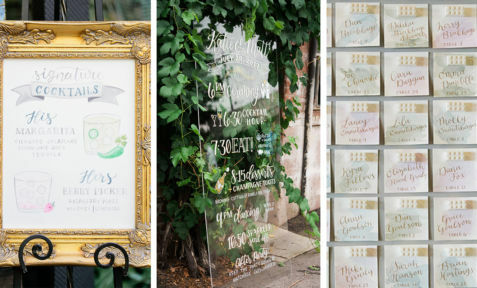 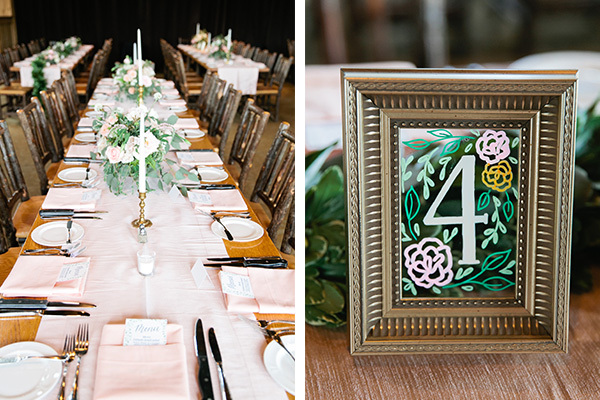 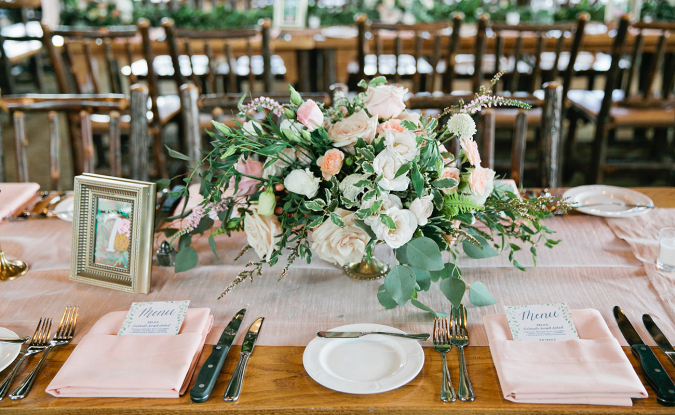 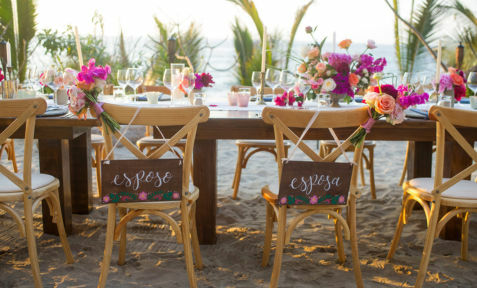 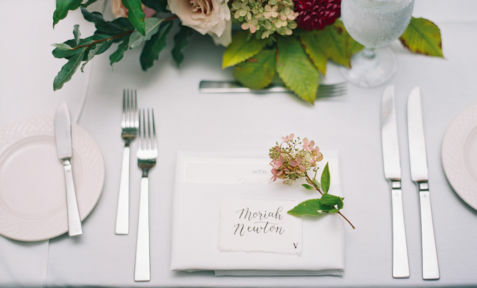 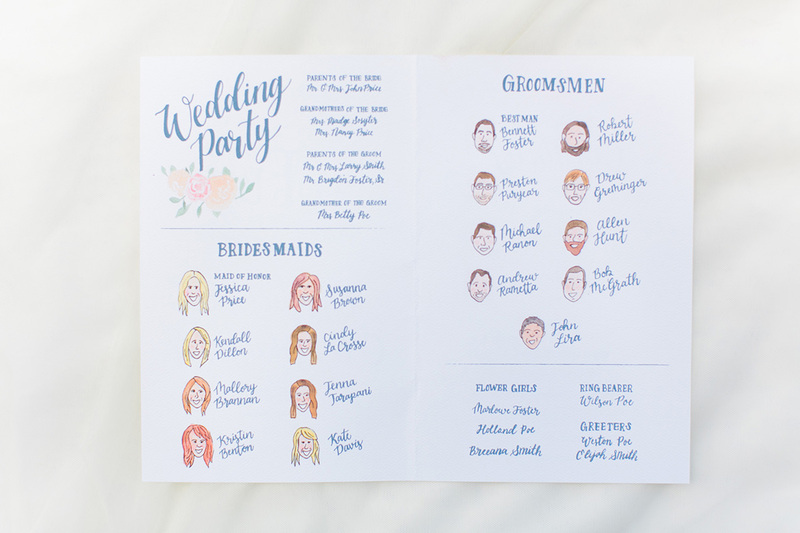 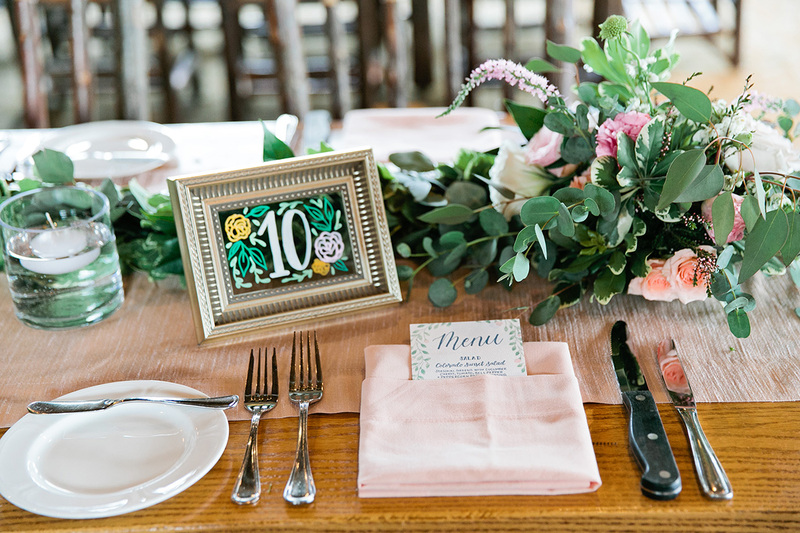 In addition to the watercolor wedding crest, additional elements of florals and leafy greens intermixed with hand lettered calligraphy to create an elegant but playful paper suite. 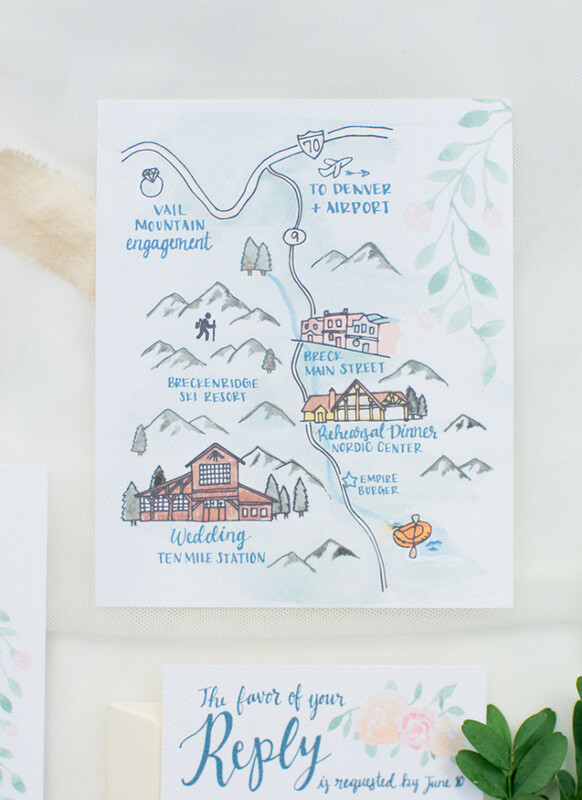 My favorite detail that I had the pleasure to design was definitely their watercolor wedding crest! 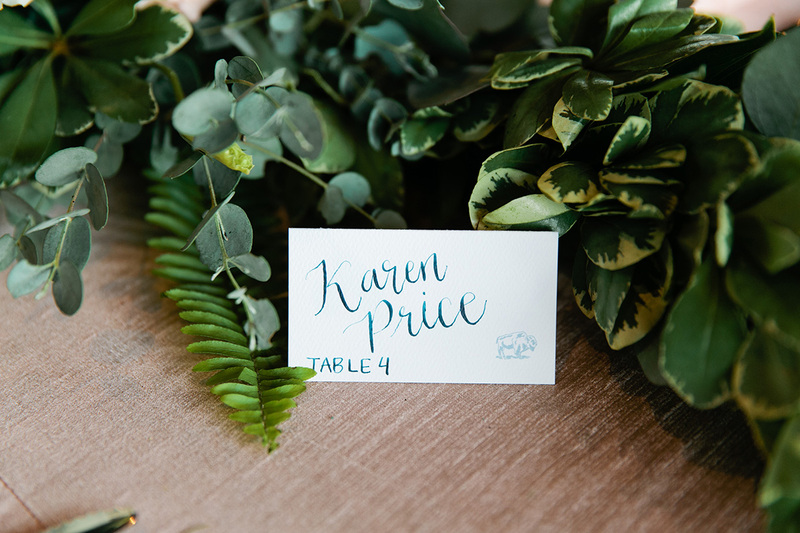 It was actually one of my first watercolor crests and it turned out just how dreamed – whimsical but still classic. 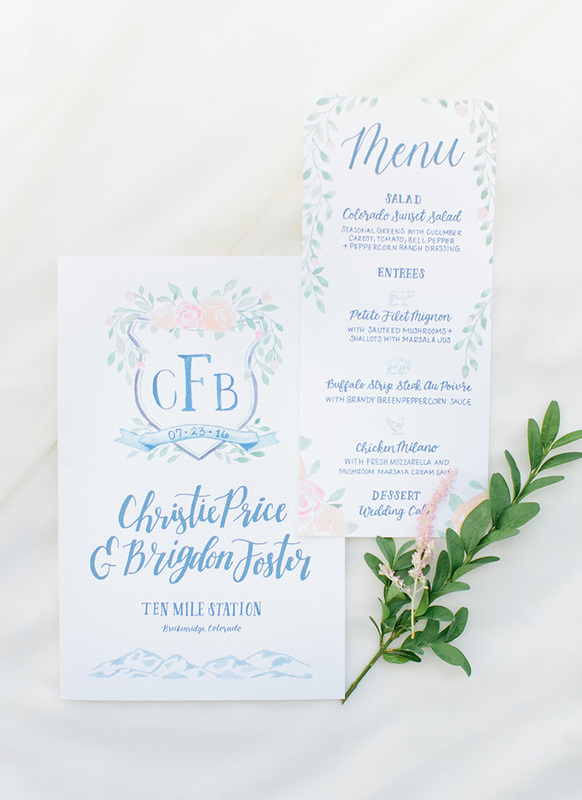 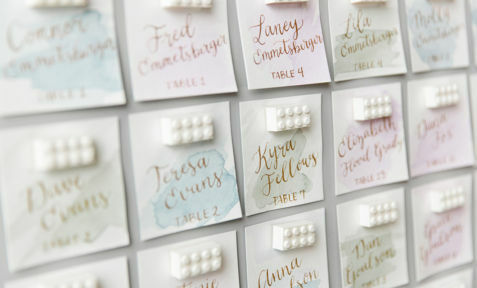 I loved that we were able to carry the crest and other watercolor elements through to their day of pieces such as ceremony programs and menus.